Ibiza Real Estate - All about Ibiza Real Estate, most complete directory! Buying a house on Ibiza can be much fun but also a very time consuming occupation. Different rules and legislations apply concerning purchasing property on Ibiza island, as a result of which it is very recommendable to call in an experienced broker to prevent what had to become a fantastic experience, leads to a drama. Keep in mind, that according to Spanish law, anyone can sell you a house !! An experienced broker leads you through the process in a responsible manner, so make sure this house agent is fully experienced in the regions legislation. Ibiza Real Estate is the best page for finding a beautiful house or a reliable broker or agent on Ibiza. A broker or housing agent assists and mediates in purchase plots of land, buildings or apartments and houses or cottages for families. He also advises in the realization of bigger building plots for investment groups such as the development of complete housing areas or commercial building projects. Real estate agents need to have proper contacts on the island when construction work needs to be done or refurbishing and modernizing. A business, which is very trendy now on the entire island and offers a big and promising market for commercial buildings like offices, restaurants, shopping centers as well as private homes and apartments. The agents help you to find the best urban plots for large scale construction of blocks of flats, commercial buildings such as offices, restaurants and hotels. Too many of the houses offered are far over rated, although splendidly decorated, they are being offered to you by several different agencies at different prices......all very confusing. Therefore you need a reliable and experienced broker with reliable Spanish partners, that know Ibiza legislations exactly and you need to be critical and ask the right questions. The real estate agent will assist checking the contracts by a lawyer, to guarantee local Property Registrar is consulted concerning the property, and prepare the official financial part at a notary. A broker assists in obtaining a building survey report and/or NIE number, tax number for non-residents with financial interests in Spain. And when finally you have become the proud owner of a house on Ibiza and you decide to renovate, refurbish your property into your personal dream house, then a good Ibiza broker also has reliable partners and contacts available for this in Ibiza. Local Estate Agent with 30 years experience in the Ibiza Property Market. Her expertise is her best asset in finding the perfect place to live in Ibiza, for everybody. Investors are offered the most profitable investments! Various commercial properties available! IBIZA , a professional real estate agency, offer professional assistance in the acquisition of properties on Ibiza as well as management of the entire process, including banks, lawyers and notaries. For buying as well as selling. Ibiza Apartments, Houses, Fincas, Villas, Terrains / Plots recently yielded, refurbished, renovated or rebuilt & modernized. Offers and advertising platform to present any property to buyers and sellers in Ibiza, for all Ibiza Property Matters such as, real estate, cars, boats, pieces of furniture.....everything in Ibiza! House owners can advertise their property and buyers can find a property to their preference. The real estate part of our business is mainly involved with the plot market, which means urban plots for large scale construction. We also include sales of blocks of flats, commercial buildings (mainly offices, restaurants and hotels). Selected real estate investment overseas is also available to our clients. 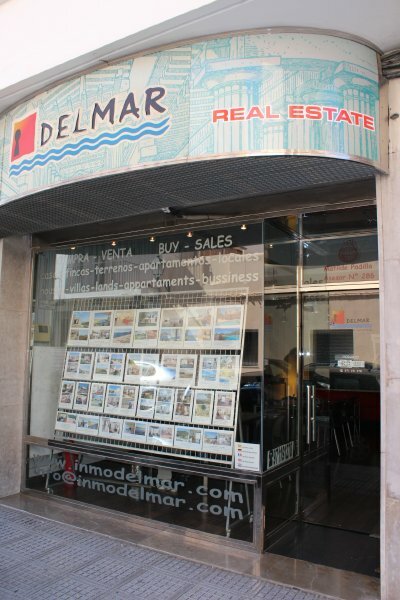 Real estate services for private customers however is solely available in the Balearic Islands. All about IBIZA REAL ESTATE - most complete directory!